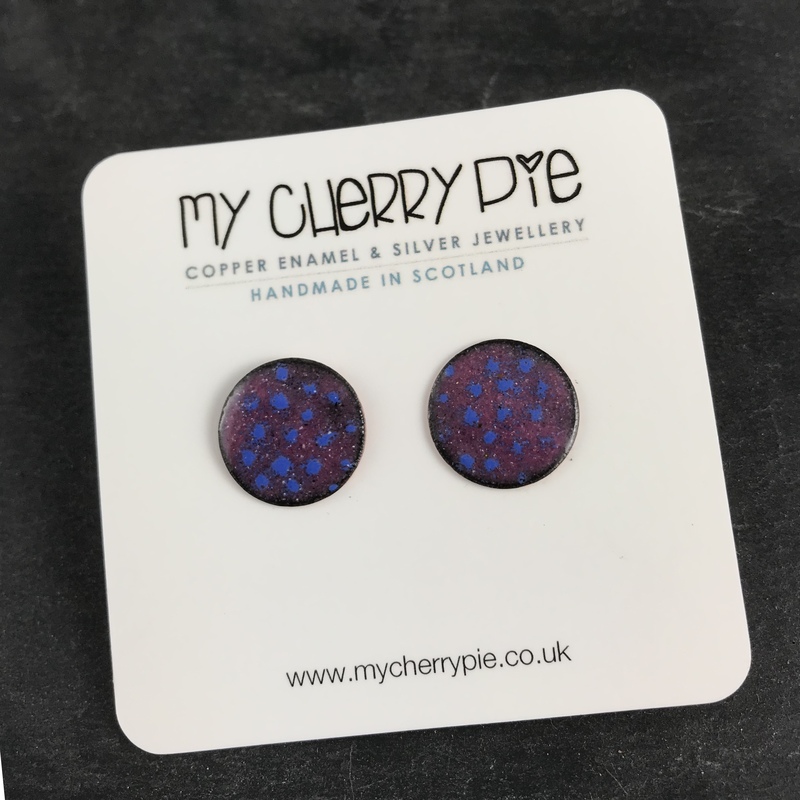 Fun and colourful circle earrings in copper with colourful enamel dot pattern. This colourway is raspberry with ultramarine dots. The size of the copper circle is 16mm with a sterling silver post and scroll on the back. 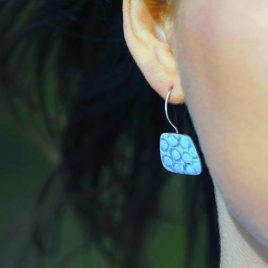 Enamel drop earrings in an unusual trapezoid shape. Beautiful delicate circles pattern in blues and greys. 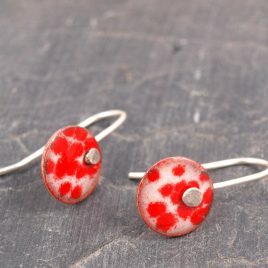 The pattern has been kiln fired on copper and the earrings have been finished with a forged sterling silver earwire. There is a matching necklace available for these earrings. All of mycherrypie jewellery is delivered gift ready making it a great birthday gift for her. 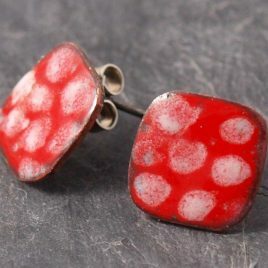 Cute little Dotty Red and White Ear studs in a curved square shape. 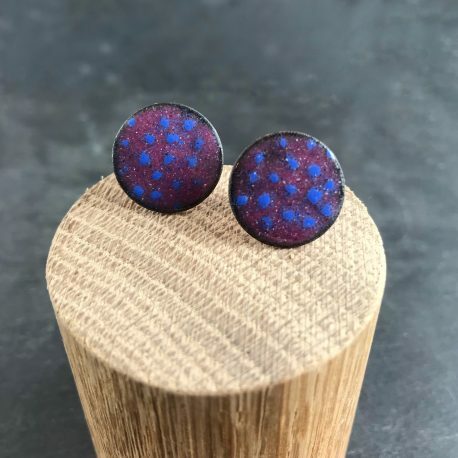 These everyday cheery little earrings are made by using enamel powder which has been fused onto copper in a kiln. 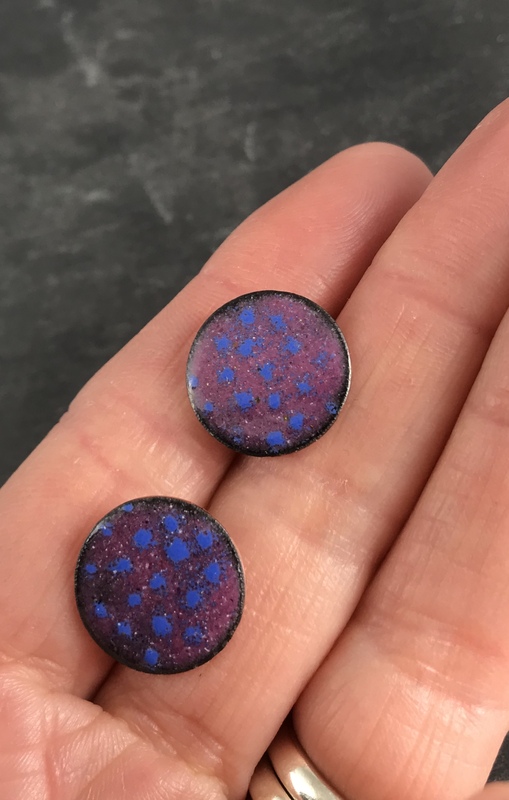 The detail for these spotty dotty ear studs has then been painted on using finer enamel powder before being re-fired in the kiln. The colours used are a bright China red base with an ivory white spot. I have soldered a sterling silver ear post on the back of the copper shape. 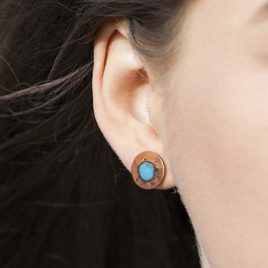 These bohemian little ear studs are around 1cm in size. I make all my jewellery by hand in my studio on the East coast of Scotland. 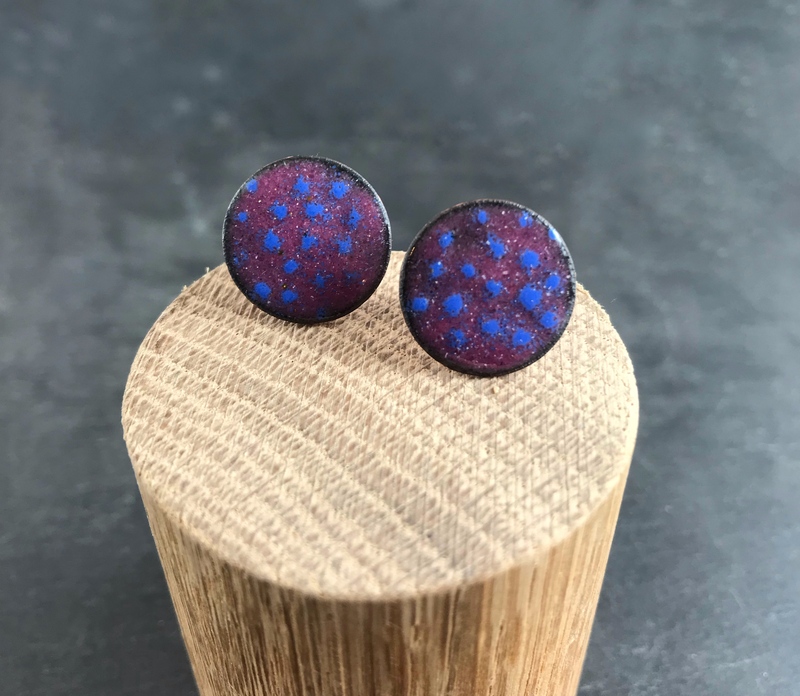 If you have any commissions or requests I am happy to accept them These earrings are so adorable and would make a great birthday or christmas gift as they arrive gift ready in a little hand stamped gift pouch.